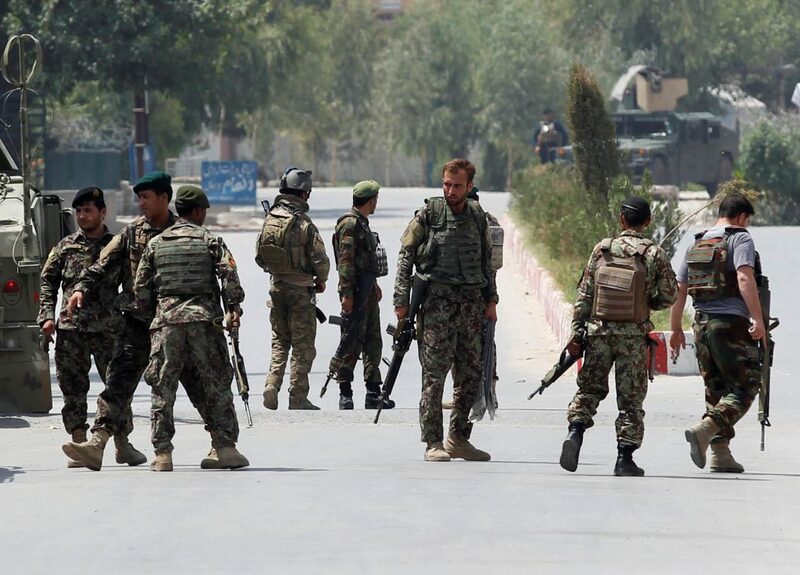 Terrorists attacked an education department office in the eastern Afghan city of Jalalabad on Wednesday and held out against security forces for some four hours before the assault ended with at least 10 people killed, officials said. He said there were three terrorists, two of whom detonated suicide-bomb vests, while the third was shot by security forces. This year, backed by intensive U.S. airstrikes, Afghan forces have claimed success in holding the Taliban back from major cities and U.S. commanders say they have been hitting other terror groups, like Islamic State, hard. Officials in Washington have told Reuters that President Donald Trump has been frustrated with the lack of progress and is expected to launch a review of the U.S. strategy. There was no immediate claim of responsibility for Wednesday’s attack but both of the other assaults in the city this month were claimed by the Islamic State terror group, which is opposed to both the Western-backed government in Kabul and the Taliban. The attack on the education department appeared to follow the pattern of previous terror attacks including an assault on an office of the Save the Children aid group in Jalalabad in January and another on the city accounts office in May. Nangarhar province, on the porous border with Pakistan, has become a stronghold of Islamic State, which has grown into one of Afghanistan’s most dangerous terror groups since it appeared around the beginning of 2015. On the other side of the country, in the western province of Farah, four people were killed and three wounded when their car set off a roadside bomb as they were traveling to a wedding, a provincial official said.